Every new Premier delivers a mandate letter to the incoming Ministers and Ministers of State serving in their cabinet. 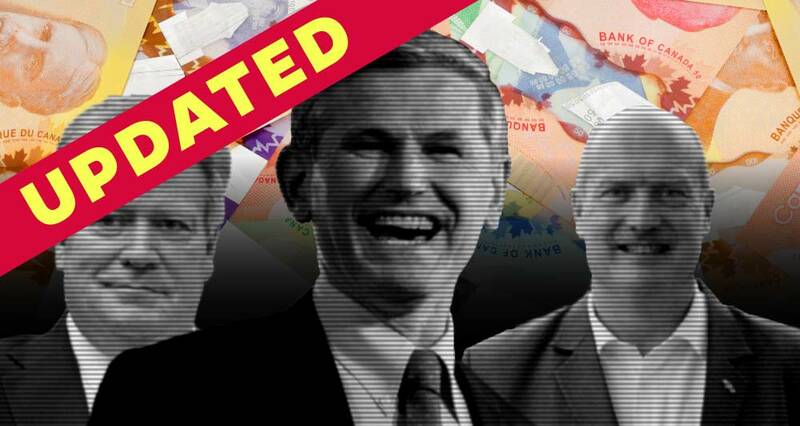 Premier John Horgan's government is no different. This week many of the 22 new Ministers and Ministers of State received their mandate letters from Premier Horgan. 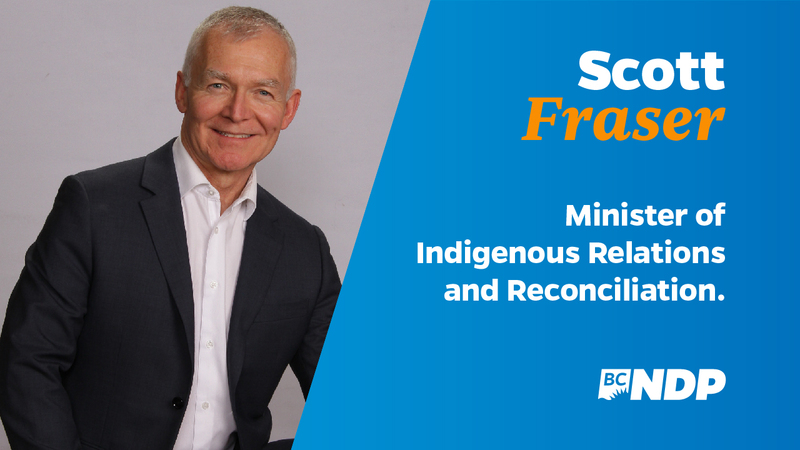 Like the BC NDP platform and its three commitments, Premier Horgan's goals and expected outcomes are largely focused on improving the lives of everyday British Columbians. As he says in each letter: "It has never been more important for new leadership that works for ordinary people, not just those at the top." In addition to their core responsibilities, all Ministers are expected to ensure members of the B.C. Green caucus are appropriately consulted on major policy issues, budgets, legislation and other matters as outlined in our agreement. After all, he continues, "British Columbians expect our government to work together to advance the public good. That means seeking out, fostering, and advancing good ideas regardless of which side of the house they come from." Provide greater access to adult basic education and English-language learning programs by eliminating fees. Reduce the financial burden on students by eliminating interest on B.C. 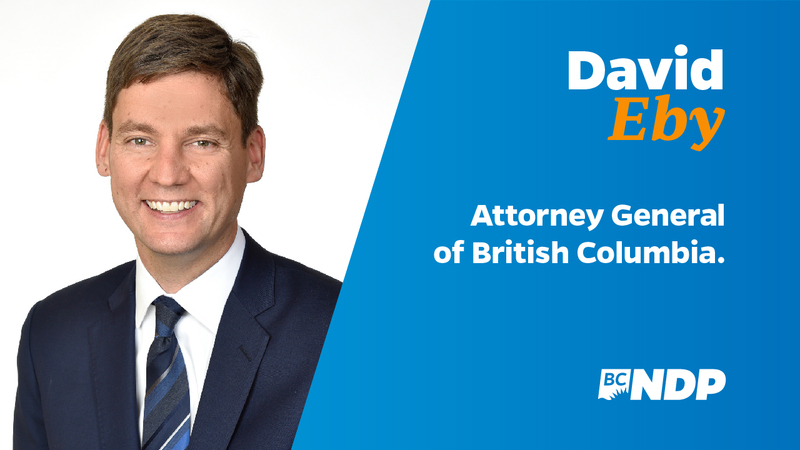 government student loans and establish a $1,000 completion grant program to provide debt relief to B.C. graduates. Encourage excellence in B.C.’s graduateschool programs by introducing a new graduate student scholarship fund. 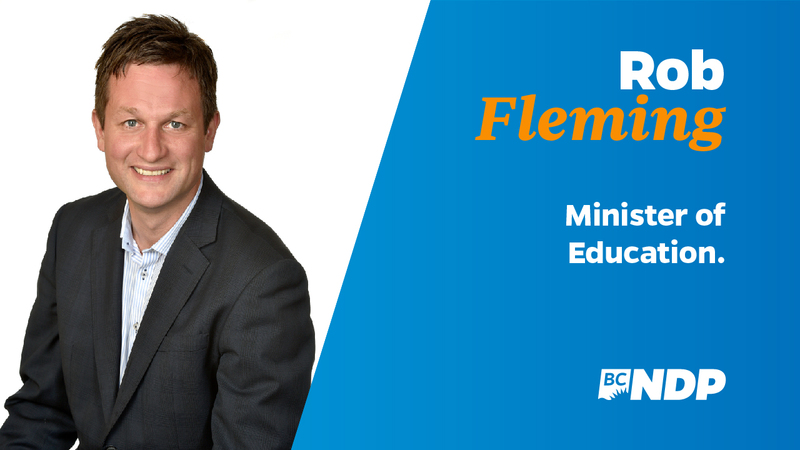 Work with the Minister of Education to support co-op, apprenticeship and work-experience programs for high school and undergraduate students. 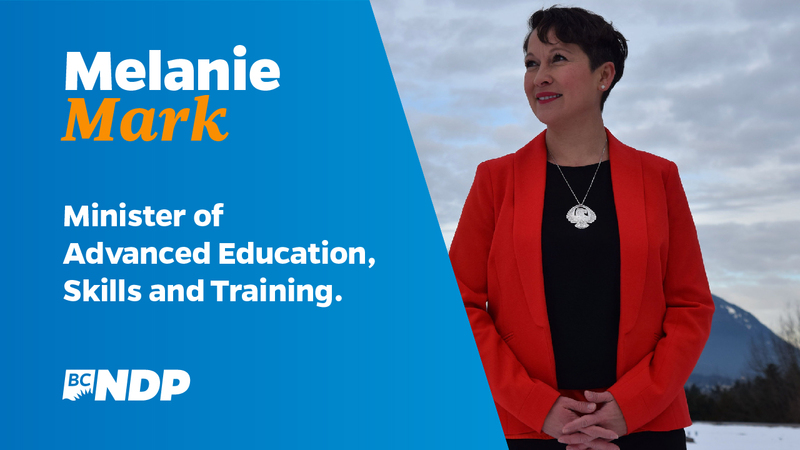 Work with the Minister of Transportation and Infrastructure to implement effective apprenticeship ratios on government-funded infrastructure projects, and increase participation of equity-seeking groups in the skilled workforce. Revitalize the Agriculture Land Reserve and the Agricultural Land Commission. Establish Grow B.C. 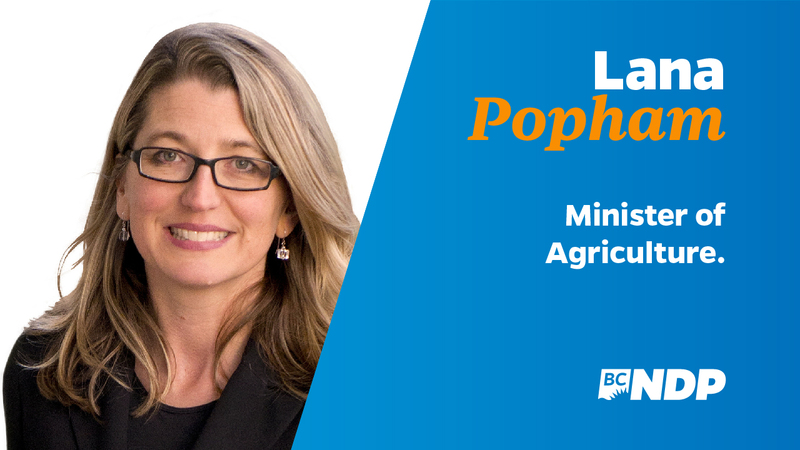 to help young farmers access land, and support fruit and nut growers and processors to expand local food production. Initiate Feed B.C. to increase the use of B.C.-grown and processed foods in hospitals, schools, and other government facilities. Bring back an enhanced Buy B.C. marketing program to help local producers market their products,and work with local producers to expand market access in the rest of Canada and abroad. Introduce legislation to reform campaign finance laws to ban political contributions by corporations and unions, and set limits on individual contributions. Introduce legislation to hold a province-wide referendum on proportional representation in the fall of 2018. Introduce legislation to reform lobbying in BC. Re-establish the Human Rights Commission. Increase the number of court sheriffs, expand the use of duty counsel and increase staffing of the Court Services Branch to address court delays. Improve and support legal aid, including First Nations legal services, dispute resolution services for families and expanded poverty law services to increase access to justice. Conduct a comprehensive operating review of ICBC. Enhancing and improving child-protection services to ensure that all children grow up in safe andnurturing environments. 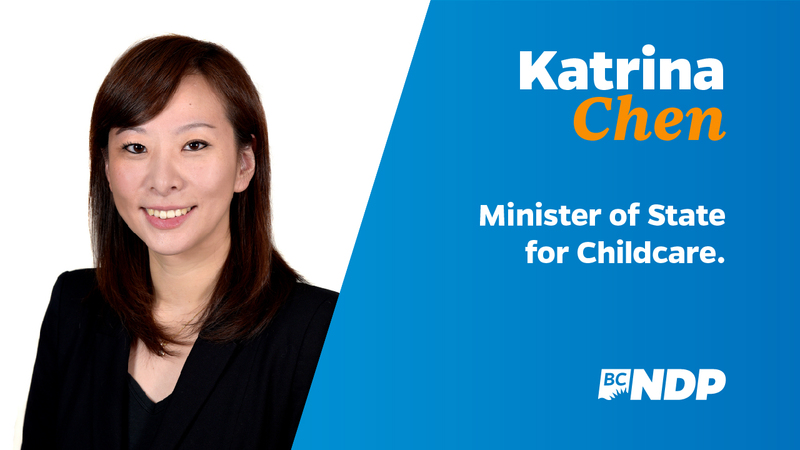 Investing in child protection to hire additional social workers and staff to support social workers, and toimplement incentives to attract social workers to rural and underserved regions. Working to implement the recommendations from Grand Chief Ed John’s report and provide better supports to keep Aboriginal children at home and out of care. 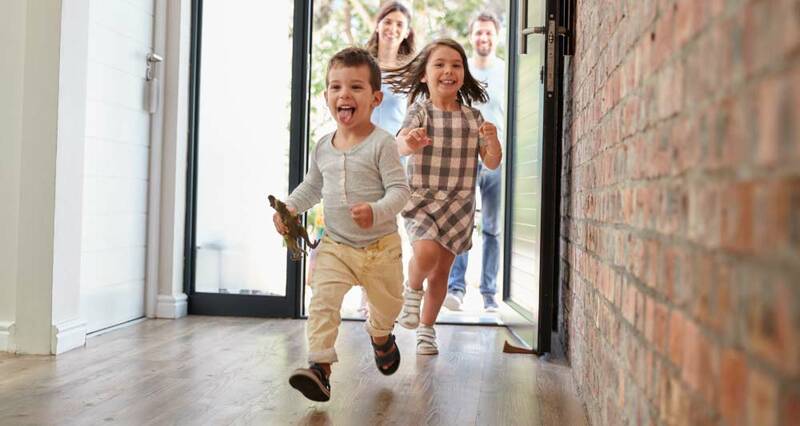 Work with all levels of government, child-care providers, the private and not-for-profit sectors to implement a universal child-care plan that provides affordable, accessible and high-quality care and early learning to every child whose family wants or needs it, starting with infant/toddler programs before gradually expanding. Provide additional investments in the Early Childhood Educator workforce through training, education and fair wages to enhance and ensure quality. 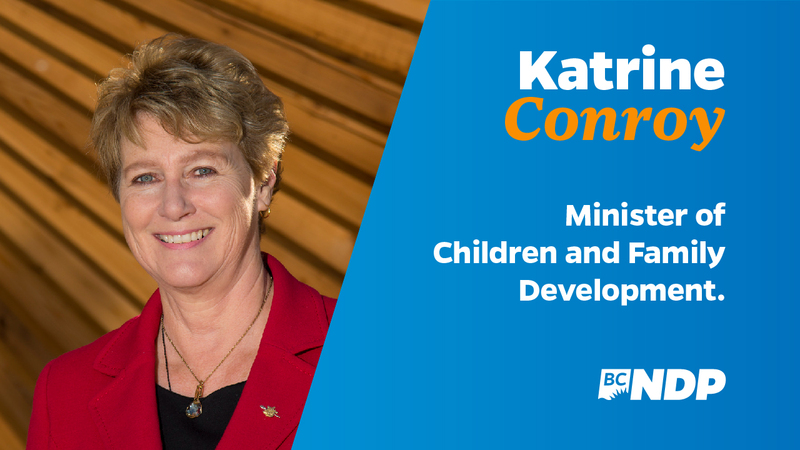 Accelerate the creation of new child-care spaces in communities across the province as part of building a Better BC. Instituting a cap on the value and the length of government IT contracts to save money, increaseinnovation, improve competition and help our technology sector grow. Ensuring government IT and software development procurement work better for companies that hirelocally and have a local supply chain. Improving access to information rules to provide greater public accountability. Fast-track enhancement to K-12 education funding. Review the funding formula to develop a stable and sustainable model for the K-12 education system. Provide additional annual funding to ensure students have the school supplies they need to succeed. Create an ongoing capital fund for school playgrounds. Make schools safer by accelerating the seismic upgrade program. Work in partnership to build and upgrade schools in every region of the province. Implement the new First Nations history curriculum, develop full-course offerings in Aboriginal languages and implement the educational Calls to Action from the Truth and Reconciliation Commission. Create a roadmap for the future of B.C. 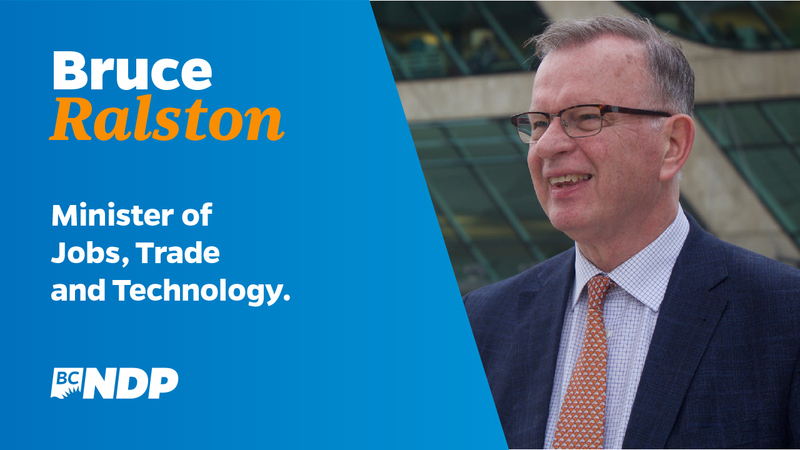 energy that will drive innovation, expand energy-efficiency and conservation programs, generate new energy responsibly and sustainably, and create lasting good jobs across the province. Reinvigorate the Innovative Clean Energy fund to boost investments in groundbreaking new energy technologies and climate change solutions. Freeze B.C. Hydro rates while conducting a comprehensive review of the Crown corporation. Immediately refer the Site C dam construction project to the B.C. Utilities Commission on the question of economic viability and consequences to British Columbians in the context of the currentsupply and demand conditions prevailing in the B.C. market. Implement a comprehensive climate-action strategy that provides a pathway for B.C. to prosper economically while meeting carbon pollution reduction targets, including setting a new legislated 2030 reduction target and establishing separate sectoral reduction targets and plans. Work with the Minister of Finance to implement an increase of the carbon tax by $5 per tonne per year, beginning April 1, 2018 to meet the federal government’s carbon-pricing mandate. Take measures to expand the carbon tax to fugitive emissions and to slash-pile burning. Revitalize the Environmental Assessment process and review the professional reliance model to ensure the legal rights of First Nations are respected, and the public's expectation of a strong,transparent process is met. Employ every tool available to defend B.C. 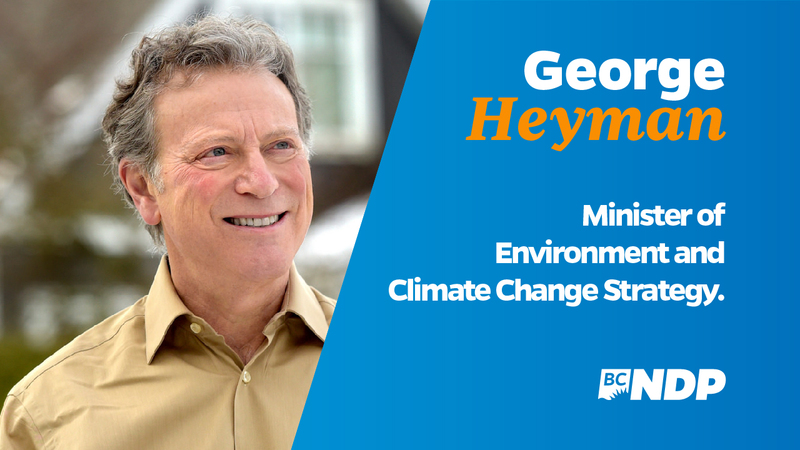 's interests in the face of the expansion of the Kinder Morgan pipeline, and the threat of a seven-fold increase in tanker traffic on our coast. 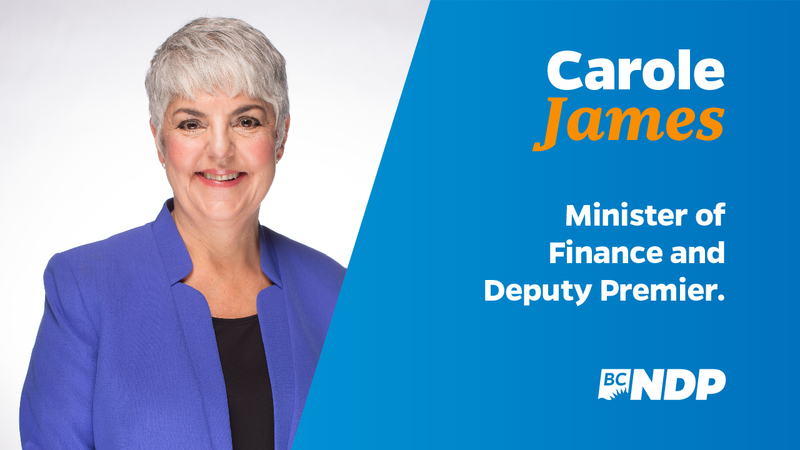 Take measures to improve tax fairness and ensure the tax system reflects our commitment to work forall British Columbians, not just those at the top. Create a Medical Service Plan task force and eliminate Medical Service Plan fees within four years,starting with a 50% reduction on January 1, 2018. Eliminate tolls on the Port Mann and Golden Ears bridges. 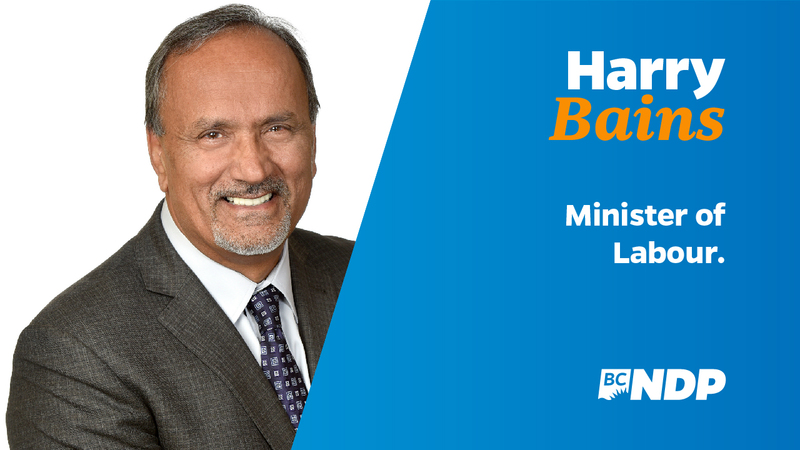 Take measures to improve housing affordability, close real estate speculation loopholes, and reducetax fraud and money laundering in the B.C. real estate marketplace. 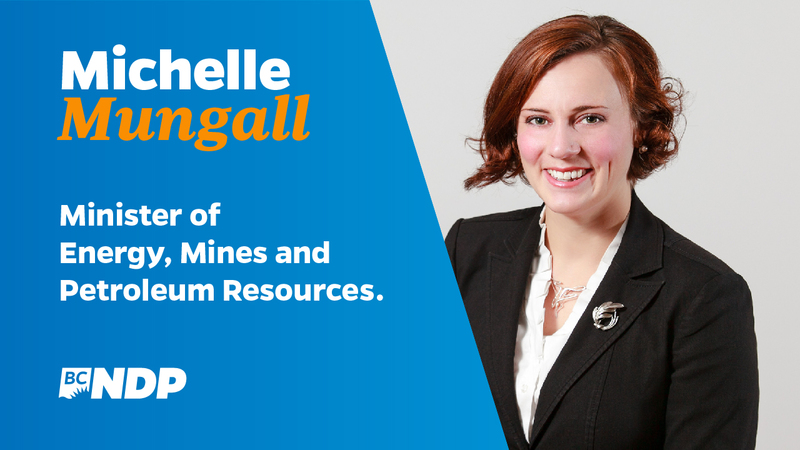 Protect and create jobs by fighting for a fair deal for B.C. wood products in softwood lumbernegotiations with the United States. Work with communities and industry to develop a fair, lasting strategy to create more jobs by processing more logs in B.C. and to renew our forests by expanding investments in reforestation. Expand our innovative wood-products sector by addressing regulatory and capital barriers hamperingthe growth of engineered wood production and work with other ministers to ensure public projects prioritize the use of B.C. wood. Improve wildlife management and habitat conservation, and collaborate with stakeholders to developlong and short term strategies to manage B.C. 's wildlife resources. Prioritize the provision of team-based primary care by establishing urgent family-care centres across the province. Improve rural health services and expand the medical travel allowance for those who must travel for care. Work with the Parliamentary Secretary for Seniors to improve and strengthen services to ensure seniors receive dignified and quality care. Work to reduce wait times and implement province-wide co-ordination to manage and actively monitor waitlists. Work collaboratively and respectfully with First Nations to establish a clear, cross-government visionof reconciliation to guide the adoption of the United Nations Declaration on the Rights of Indigenous Peoples, the Truth and Reconciliation Commission Calls to Action, and the Tsilhqot’in Supreme Court decision. In partnership with First Nations, transform the treaty process so it respects case law and the United Nations Declaration on the Rights of Indigenous Peoples. Support Indigenous communities seeking to revitalize connections to their languages. Establish B.C. as a preferred location for new and emerging technologies by supporting venture capital investment in B.C. startups, taking measures to increase the growth of domesitic B.C. techcompanies, and removing barriers to attracting and repatriating skilled workers. Ensure that the benefits of technology and innovation are felt around the province by working with rural and northern communities and equity-seeking groups to make strategic investments that supportinnovation and job growth. Establish an Emerging Economy Task Force and establish an Innovation Commission to advocate forthe technology sector. Work across ministries and with the federal government to ensure British Columbia’s interests are protected and advanced in trade negotiations and disputes. 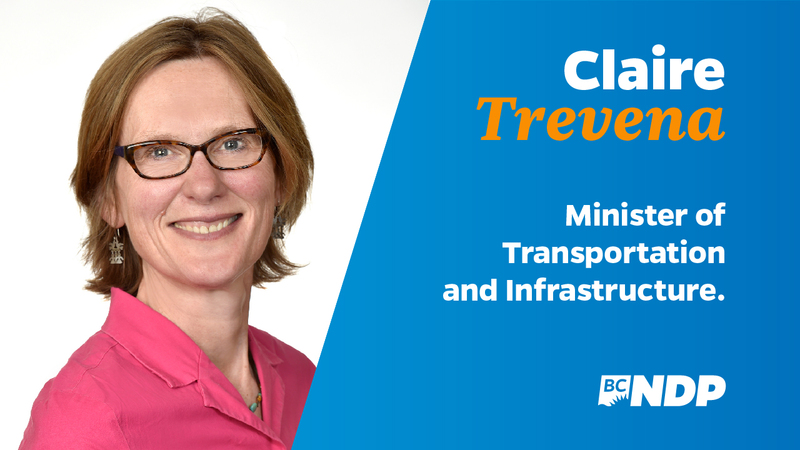 Work across ministries and with the B.C. chapter of the Canadian Manufactures and Exporters Association to further export opportunities for B.C. businesses. 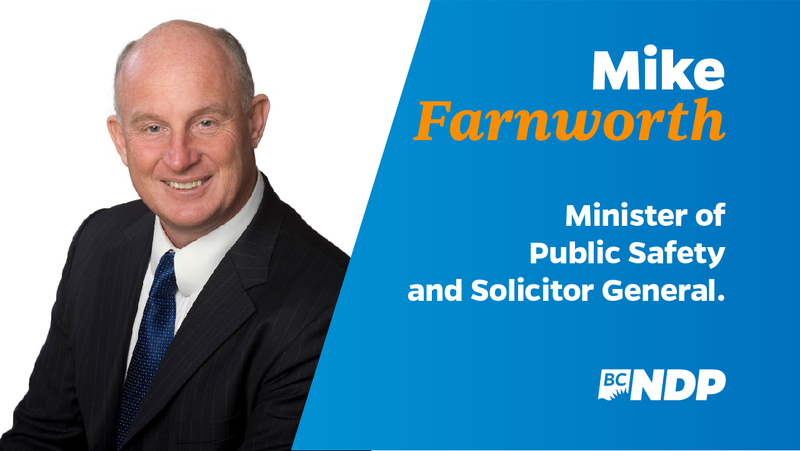 Work with the Minister of Forests, Lands, Natural Resource Operations, and Rural Development to advocate for a fair deal for B.C. in softwood lumber negotiations with the United States. 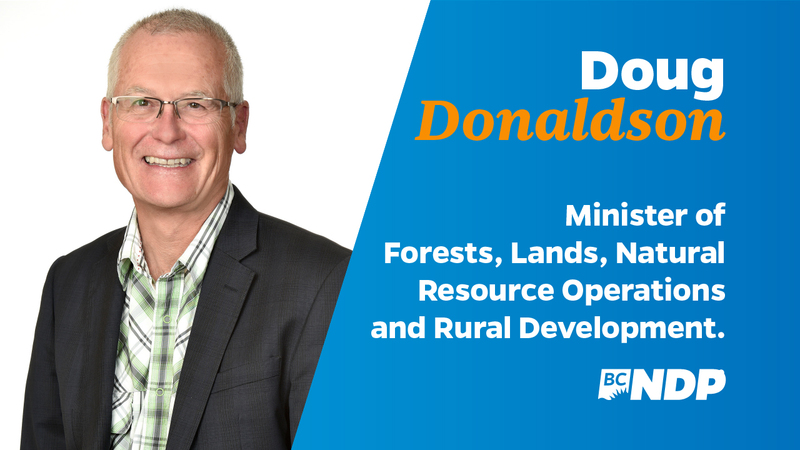 Work with the Minister of Forests, Lands, Natural Resource Operations, and Rural Development, and with BC’s forest industry to expand efforts to market innovative manufactured wood products to world markets. Establish a Fair Wage Commission to support the work of implementing the $15-per-hour minimum wage by 2021 and to bring forward recommendations to close the gap between the minimum wage and livable wages. The commission will make its first report within90 days of its first meeting. Create a Temporary Foreign Worker registry to help protect vulnerable workers from exploitation and to track the use of temporary workers in our economy. Update employment standards to reflect the changing nature of workplaces and ensure they are applied evenly and enforced. Review and develop options with WorkSafe B.C. to increase compliance with employment laws and standards put in place to protect the lives and safety of workers. Work in partnership to develop an immediate response to the opioid crisis that includes crucial investments and improvements to mental-health and addictions services. 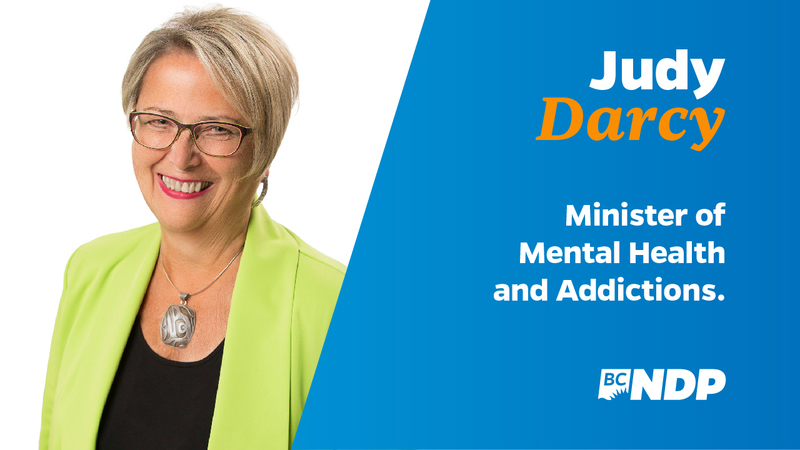 Create a mental-health and addiction strategy to guide the transformation of B.C.’s mental-health-care system. As part of this strategy, include a focus on improving access, investing in early prevention and youth mental health. Consult with internal and external stakeholders to determine the most effective way to deliver quality mental-health and addiction services. Partnering with local governments and First Nations to develop a community capital infrastructure fund to upgrade and build sports facilities, playgrounds, local community centres, and arts and culture spaces. 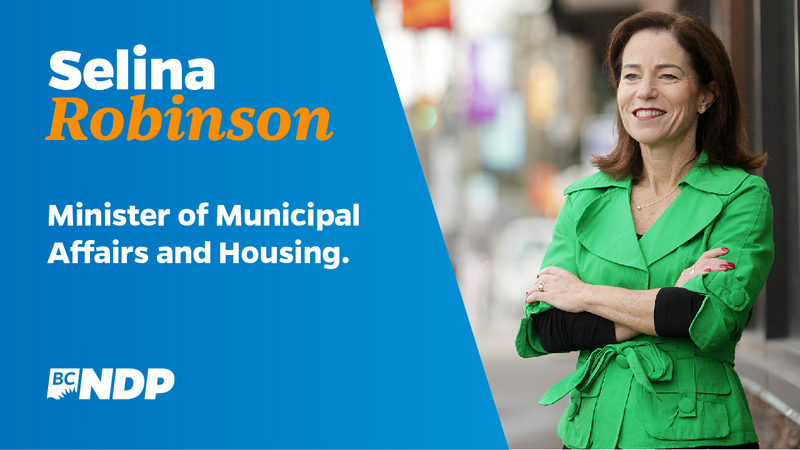 Through partnerships with local governments, the federal government, and the private and not-for- profit sectors, begin to build 114,000 units of affordable market rental, non-profit, co-op, supported social housing and owner-purchase housing. 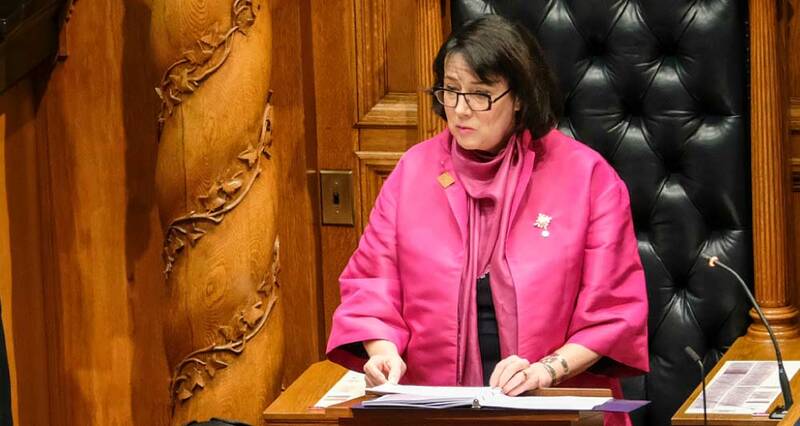 Amending the Residential Tenancy Act to provide stronger protections for renters, and provide additional resources to the Residential Tenancy Branch. With the Minister of Finance, delivering an annual renter’s rebate of $400 dollars per rental household to improve rental affordability. Provide more support to police efforts to disrupt the supply chain and advocate for increased penalties for drug dealers who knowingly distribute death-dealing drugs. Take action on gang and gun violence. Increase annual funding to support women who experience domestic violence, sexual assault and other crimes. Work with First Nations to set targets and take action to reduce the numbers of Aboriginal people involved in the justice system. Recognize culture for its role in rehabilitation and recovery and provide culturally diverse and appropriate programming in prisons, particularly for Aboriginal people. Encourage and support assistance recipients as they re-enter the workforce by allowing them to keepan additional $200 a month in earnings exemptions. 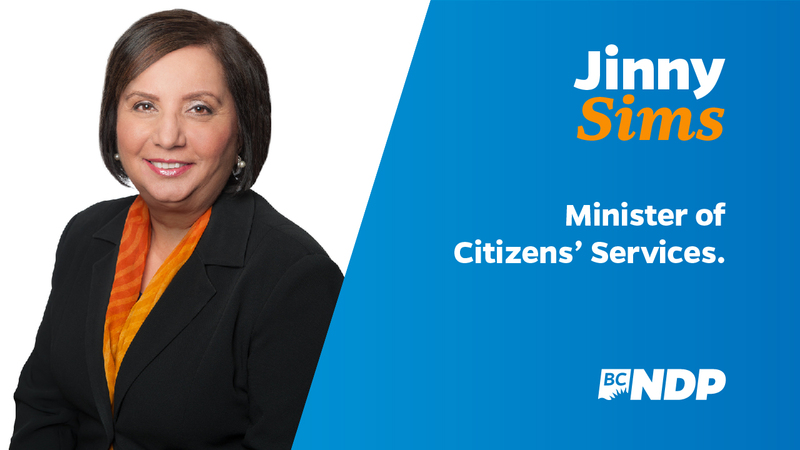 Further support those on disability assistance by fully restoring the BC Bus Pass program. Develop a basic-income pilot to test whether giving people a basic income is an effective way toreduce poverty, improve health, housing and employment. 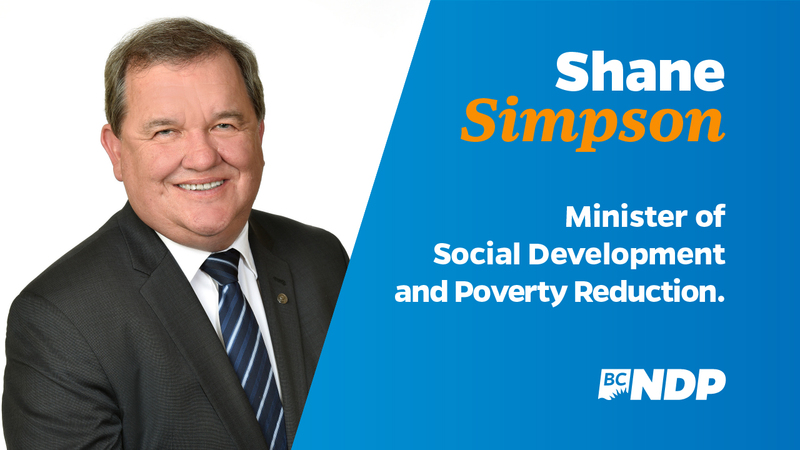 Design and implement a province-wide poverty-reduction strategy with legislated targets andtimelines. Champion tourism as a job creator throughout British Columbia and work to expand tourism-marketing efforts internationally. 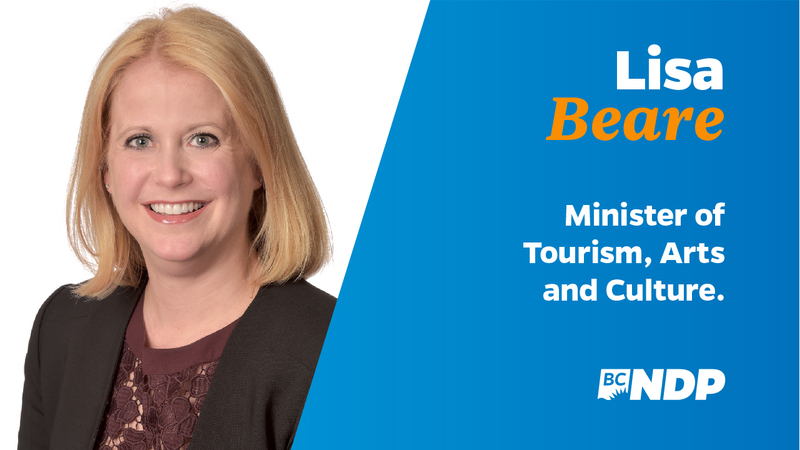 Work with the Minister of Jobs, Trade, and Technology to ensure that British Columbia’s tourism sector is represented on trade missions. Double the Province’s investment in the B.C. Arts Council over four years. Increase investments in Creative B.C. over four years. Lead planning to address the infrastructure needs of rural and urban British Columbia under the government’s comprehensive capital infrastructure plan to build a Better B.C. 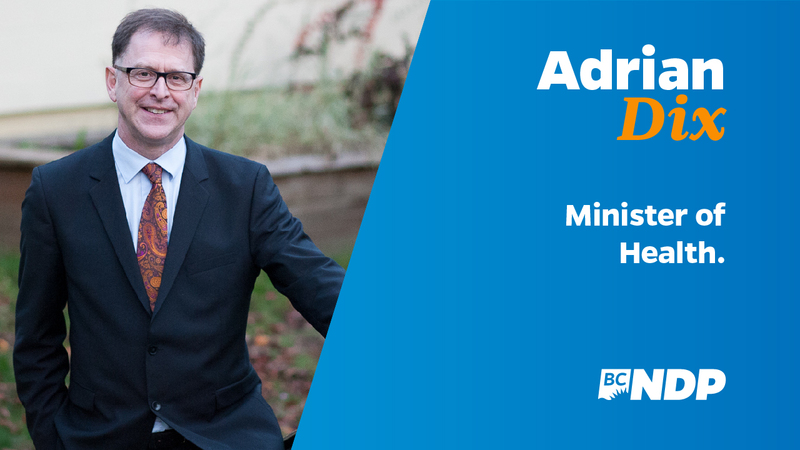 Work with the Minister of Finance to eliminate tolls on the Port Mann and Golden Ears Bridges. Accelerate Highway 1 upgrades to the Alberta border. 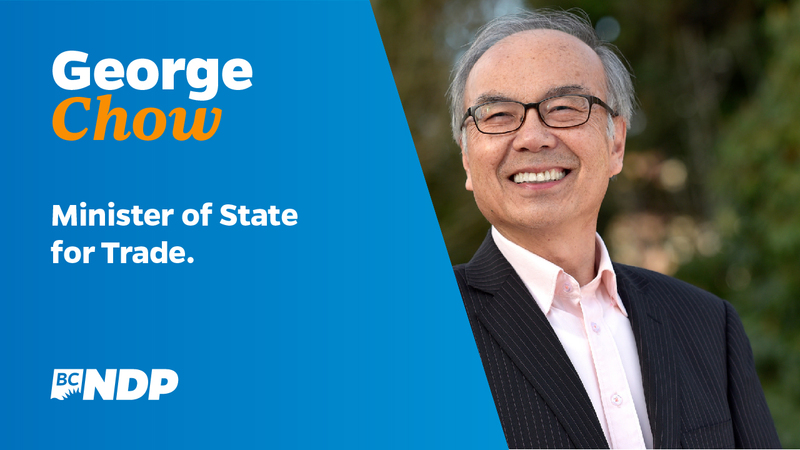 Work with the Minister of Municipal Affairs and Housing to secure federal funding for the Pattullo Bridge replacement and rapid transit in Metro Vancouver as part of implementing the mayor's 10-year plan for transit and transportation. Work with B.C. Ferries to freeze and reduce fares, and reinstate the senior’s weekday 100% discount, while conducting a comprehensive operating review. Work with the Minister of Public Safety and Solicitor General to create a fair approach to ridesharing. Sign up to get news and updates sent straight to your inbox.